Back in the early '90s Sega and Nintendo were hostile enemies, and this rivalry trickled down to the people who played their products. Anyone old enough to have experienced this period will no doubt recall the heated playground debates about which console was best, and the splintered friendships caused by something as random as which games machine someone's parents decided to get them for Christmas. With hindsight it was madness, but even today this blind brand loyalty exists, with Sony and Microsoft fans arguing until they are blue in the face about resolutions and frame rates. The more things change, the more they stay the same. 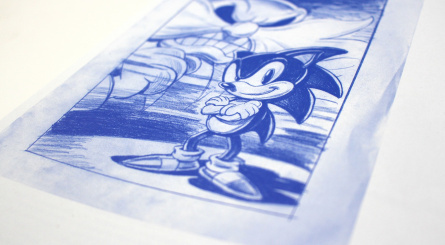 As the years have rolled by Nintendo fans have become pretty adept at putting old grievances aside, and since Sega went from hardware maker to purely software, the two companies have become incredibly close, with Nintendo even going as far as handling the marketing and distribution for many Sonic titles on its consoles. Sega games are now freely playable on the Virtual Console, with the recent string of Sega 3D Classics offering Nintendo 3DS owners the opportunity to reacquaint themselves with some of the firm's most prestigious releases. What we're trying to say here is that Sega and Nintendo are essentially part of the same exciting period in video game history. With that in mind, it's therefore incredibly easy for a card-carrying Nintendo fan to scoop up a copy of Sega Mega Drive/Genesis: Collected Works and be totally and utterly enthralled. 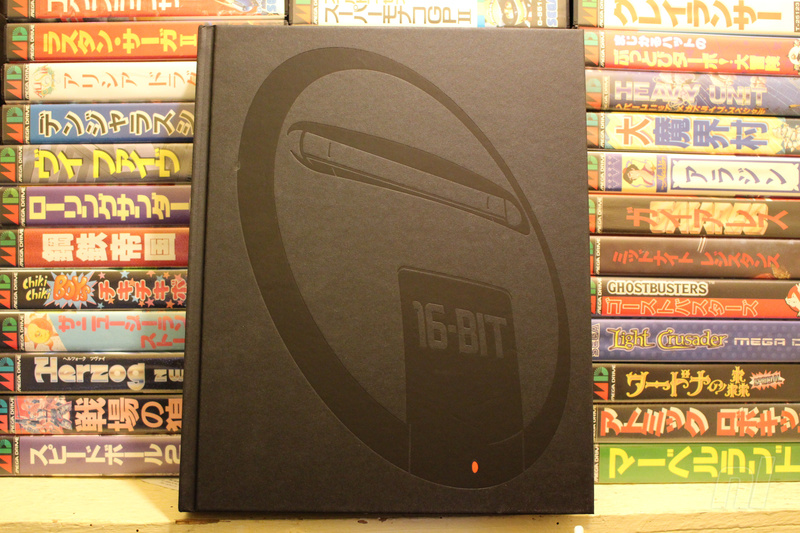 Produced by UK-based publisher Read-Only Memory — the same firm that produced the excellent Sensible Software 1986-1999 — this lavishly produced hardcover tome is a love-letter to one of the most influential gaming systems of all time. 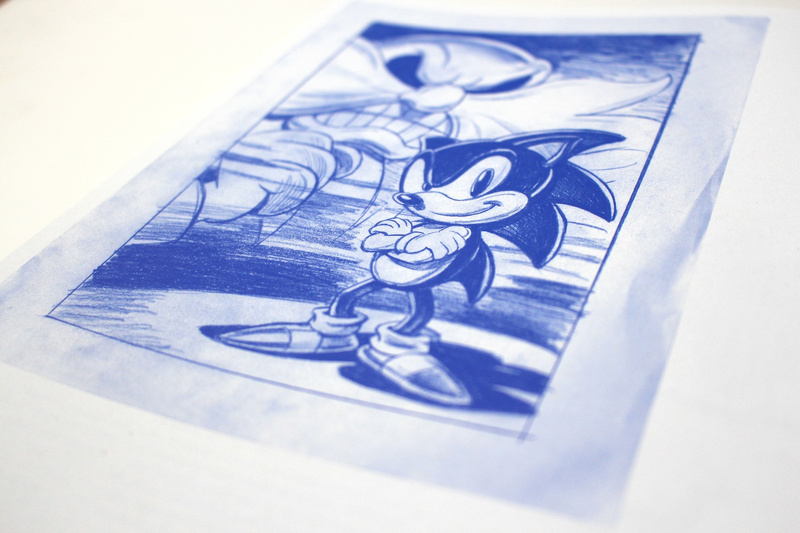 A combination of gorgeous artwork, never-before-seen production materials and in-depth interviews with key developers, it's genuinely hard to envisage how Sega Mega Drive/Genesis: Collected Works could be any better. 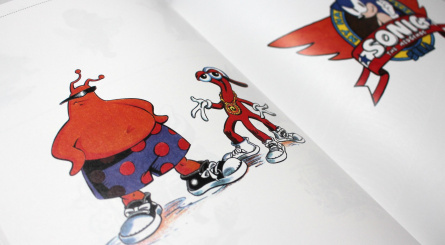 From the intelligent and insightful introductory essay by esteemed journalist Keith Stuart to the abundant pages of sprite artwork lifted directly from some of the console's most beloved releases, this book is every Sega fan's dream come true. 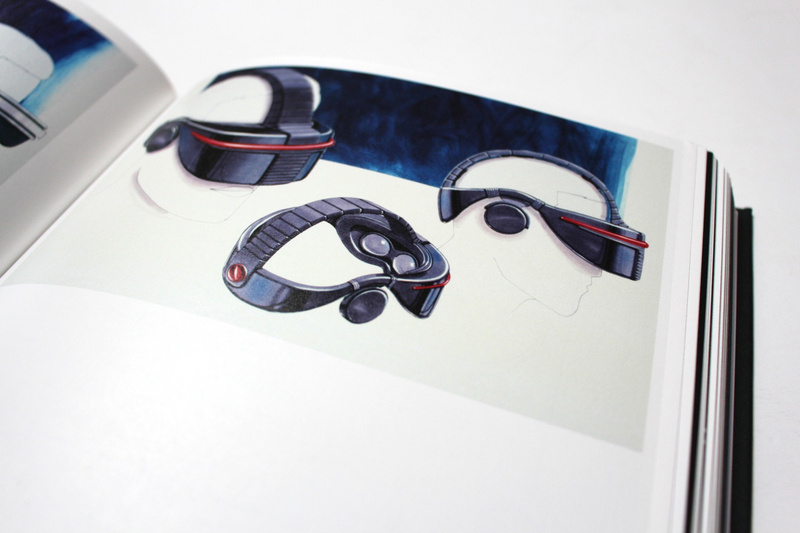 There are fold-out pages which show box and manual artwork in incredible detail, and production sketches and paintings which reveal some of the many alternative designs Sega had for elements such as controllers, the Mega CD attachment and even its unreleased Virtual Reality headset, which, according to the book, took its inspiration from the robot Gort in the 1951 science fiction movie The Day The Earth Stood Still. 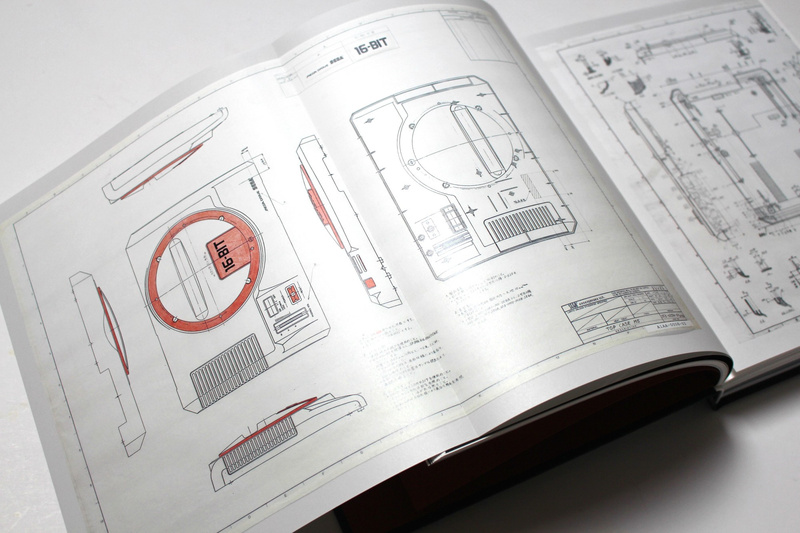 No stone has left unturned when it comes to documenting every element of console's appeal. 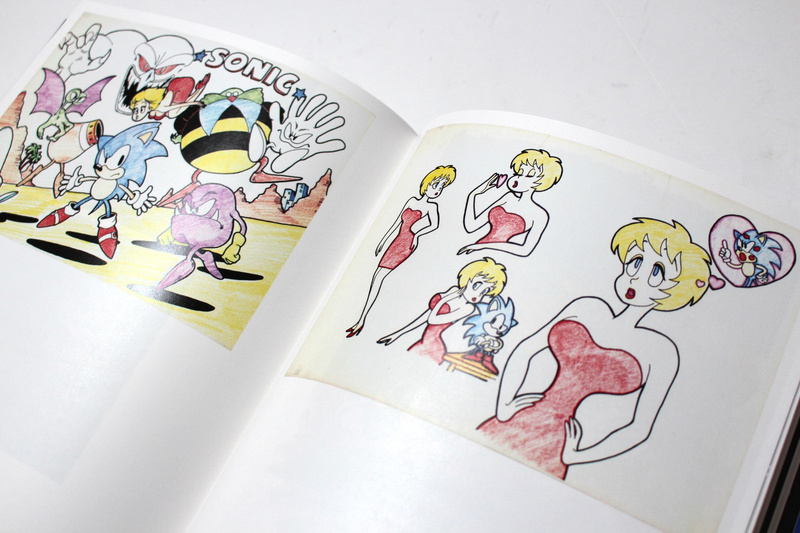 There are concept sketches for covers, abandoned artwork which never made it to print and even a doodle which shows Sonic's proposed human girlfriend, who was apparently based on the real-world pop star Madonna and Who Framed Roger Rabbit's Jessica Rabbit. 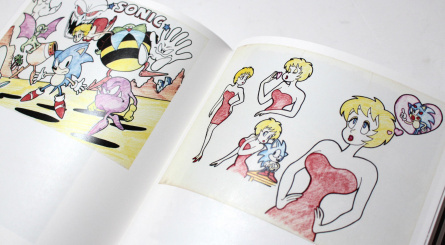 She was expunged from the final game at the behest of Sega of America, thereby saving the gaming world from the worrying prospect of having to fathom how a fully-grown woman could have any kind of intimate relationship with a talking hedgehog. 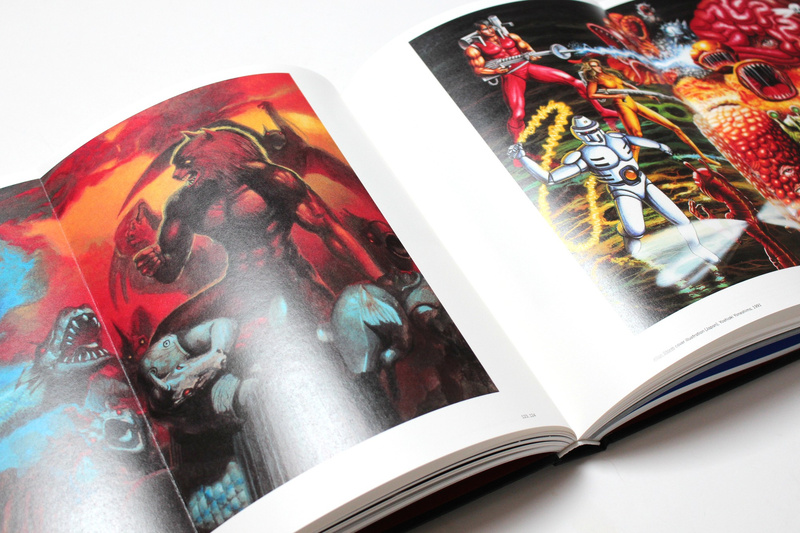 These nuggets alone are worth the price of the book, but the additional information delivered in exclusive interviews with the likes of Makoto Uchida (Altered Beast, Golden Axe, Alien Storm), Yuji Naka (Sonic), Yu Suzuki (OutRun, Space Harrier, Shenmue), Noriyoshi Ohba (Revenge of Shinobi, Streets of Rage), Peter Morawiec (Comix Zone), Masato Maegawa (Gunstar Heroes) and Rich Karpp (Vectorman) really takes things to the next level. 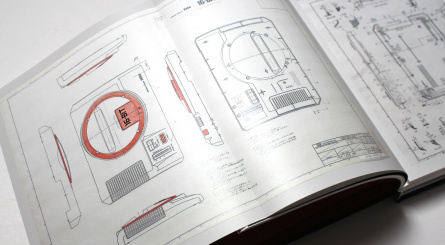 There are even discussions with two members of the Mega Drive hardware team — Masami Ishikawa and Mitsushige Shiraiwa — whose technical and product design concerns serve as a nice contrast between those of software developers, composers and planners. 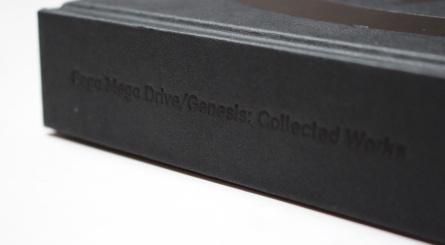 Such is the incredible appeal of Sega Mega Drive/Genesis: Collected Works that even a total outsider is able to open it up and find something of interest; not only is it packed with information that will enrapture video game fans, it is presented in such an engaging style that few will be able to resist its charms, irrespective of their preference of games console or their interest in the medium as a whole. If you own a coffee table then this deserves pride of place on it, and if you don't, we urge you to go out immediately and buy one so that it can have the honour of providing a resting place for this incredible book. 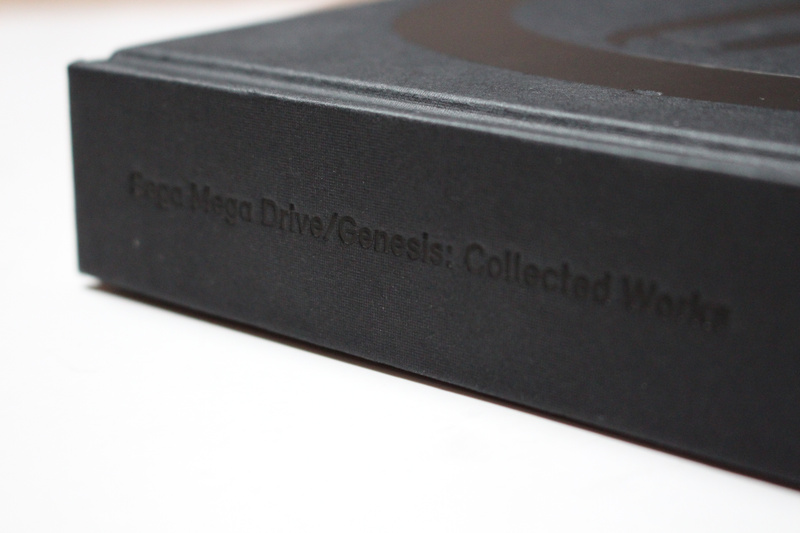 Sega Mega Drive/Genesis: Collected Works is available to order from Read-Only Memory. Great review! I think I'll have to pick this up to read over Christmas. The Megadrive is such a big part of my childhood, and it was only when I was much older did I realise the SNES had arguably a stronger library. Back then I only knew once person who had one, and she kept saying she wished she had a Megadrive instead. SNES barely had a presence in stores, and without the internet to show us what was going on across the Atlantic, the Megadrive was the only show in town as far as me and all my friends were concerned. I still prefer the 16-bit Sonic platformers to Mario, and everyone knows it had the superior version of Aladdin! Shining Force was another favourite, while a ridiculous number of hours were spent playing multiplayer Streets of Rage and Micro Machines Turbo Tournament. Awesome stuff, this book should be waiting for me at home when I get back from trip. One excellent Kickstarter that just had to be backed immediately. @Peach64 I'm in a similar boat, albeit a little further down the line - I'm 22 now, and back when all the other kids were playing their Playstations and N64s I was being brought up on a solid diet of Mega Drive and Master System games. Thinking back on it, I would probably argue that the Road Rash games are still to this day some of my favourite racing games! 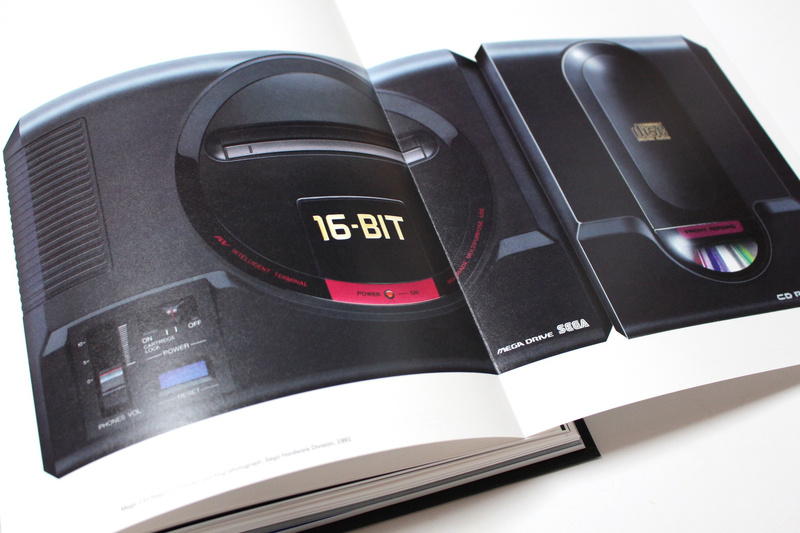 Mega Drive was my first console, and I backed this on Kickstarter the moment I saw it. It got delivered a few days ago, and seeing my name in the Benefactors section was awesome. 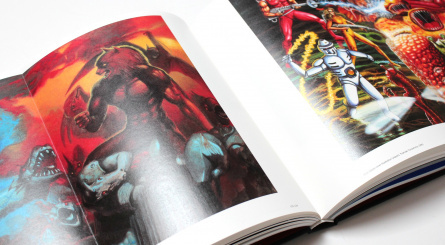 It's an extremely high quality book with tons of detail, truly awesome! @Kolzig More likely it's at the Post Office lol, that's what happened with mine since I was in work and it wouldn't fit through the letterbox. It's absolutely huge! Arrived yesterday but I haven't had chance to take it out of the cellophane yet. Looks lovely. I'm waiting for mine so I didn't even look at the pictures from this post to avoid spoiling it! This book was well worth the wait! @SilentHunter382 It's worth twice that IMO. Seriously. This thing is only going to increase in value as well. Definitely going to have a copy sent here to Florida! @Damo Good point about it increasing in value over time and I will only be kicking myself if I don't get it. I will think it over when I order persona q and the Castlevania book. 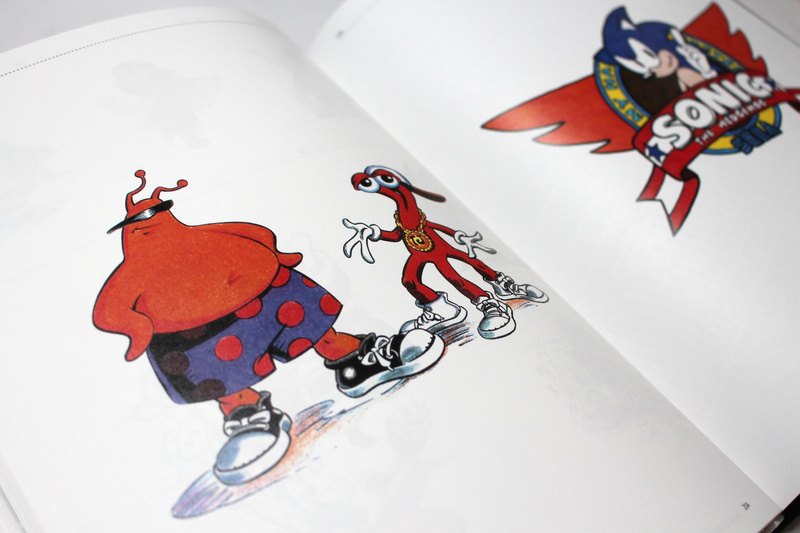 That drawing where Robotnik is just some random design for a bee enemy. It's wonderful to see where things come from. Sounds great. I knew it would be excellent when I saw the project on Kickstarter and I backed it without hesitation. I still have not received my copy yet, but am excited that it is in transit. I thought it was expensive when I backed it, but at the same time, it was easy to tell that it was going to be a very high-quality product and would be well worth it. That is something to keep in mind when considering it. Is this masterpiece of a book only available online? @Damo How much focus is on why stuff happened ? (I liked Dreamcast Worlds because of the depth and focus on why not what). This looks really good but I'm poor, I wish this were a digital article I could read through for free. Got this in the mail today. Can't wait to crack it open! I want it but it's not in the budget at the moment. Onto the list it goes I guess. 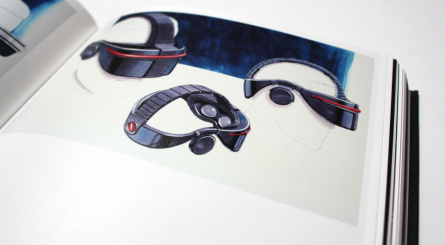 the vr headset looks awesome. i wish it had been made. I think supporting this book was my the first Kickstarter project I ever supported. Out of the three. I can't wait until my copy shows up! 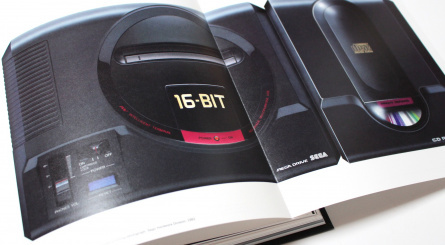 Mega drive was always so much cooler than the SNES, I can't wait for my copy to arrive. I will always love Nintendo and Sony the most, but me and my Genesis had (and still have) some very good times together. It is just different enough from the SNES that it was pretty much required to get both systems at some point. I had both as a kid, luckily, and I admit I played Sega a lot more then because it was set up in the living room, while I only had fleeting glimpses of our SNES which was in my sisters room. Years later, my action fixes usually come from Genesis, while my slower paced RPG's are all on my SNES. Also, Star fox. Nuff said. Sounds like a great read, I hope someone has a similar book regarding the SNES in the pipeline?! @Kirk I will always maintain that the SNES and MD have to be experienced together, to deny either one is to miss out on some of the finest games ever made. The MD had the SNES well and truly licked when it came to arcade titles and shooters, while Nintendo's system had some amazing platformers and RPGs. I honestly couldn't choose between them, but I guess my heart is with the MD as that was my first "true" gaming system (my Atari 800 hand-me-down from my dad doesn't count). Well there's no denying they are both genuine classics for sure and either one is perfectly justified in being someone's personal favourite 16bit console for a whole multitude of reasons. The Megadrive is actually my brothers favourite. The SNES is mine. In terms of total quality however (as opposed to coolness), and I'm not just talking about the overall library of games here but even things like the tech specs of hardware (the graphics and sound etc) as well as the controller (one of the most important elements of any console imo), the SNES to me was always top dog. In terms of pure shmups on SNES I personally loved, Gradius III, Parodius, R-Type III, Star Fox, U.N. Squadron and Super Aleste for example. I miss the 16bit era in general actually because it was my personal best time in gaming, where everything was just spot on. Not so simple that it felt slightly archaic, like the first couple of console generations and in some ways even the 8bit generation, yet simple enough that it was always quick and easy to get your gaming fix on without any hassle and there was just so little about those classic consoles you ever had to worry about or faff over. Anyone experiencing classic 16bit games now for the first time, maybe on the Virtual Console for example, should def try and experience a bunch of games across both (in fact all) these 16bit consoles. There's a lot of great timeless fun to be had.